Hello and thank you once again for joining us down at the crossroads for some music, magick, and Paganism. Where witches gather for the sabbath, offerings are made, pacts are signed for musical fame and we cross paths with today’s most influential Pagans, occultists, and deep thinkers. 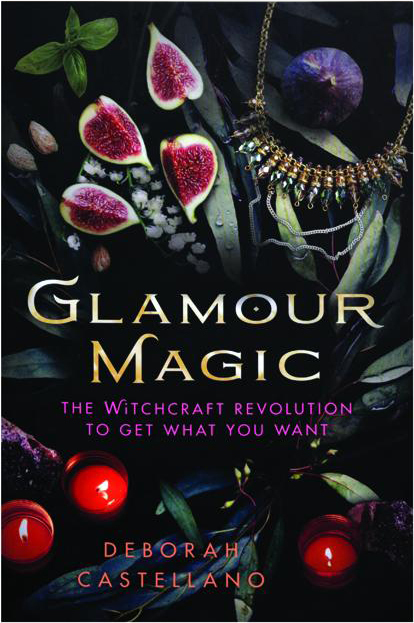 I am your bewitching, bald headed, host Chris Orapello and tonight Tara and I welcome Deborah Castellano back to the show to discuss her new book Glamour Magic: The Witchcraft Revolution To Get What You Want and how it's not just about looking good and why it's more relevant to one's witchcraft and practice than some would initially think. Deborah offers up some of the secrets of glamour in our discussion and we even explore how different men can apply and utilize glamour in their everyday life. We also learn how we already do this type of work on a subconscious level and how as practitioners we can enhance and instill more magick in what we are doing to our benefit. All in all, it was great to sit down with Deborah and we hope you enjoy our conversation with her.